Gutter cleaning and unblocking services Swansea. 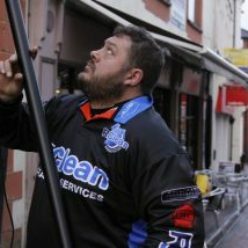 Gutter cleaners in Swansea and surrounding districts of Swansea city, Gower peninsular. Blocked gutters on homes in Swansea area, we also unblock and clean gutters on commercial property in Swansea. Regular maintenance of your guttering helps keep your property in good health. We remove blockages, debris, soil, grass, moss and silt from guttering. Manual extraction is not all we can do. We have an omnivac gutter cleaning system to clean your gutters in swansea. Swansea gutter cleaning services available with a simple call 07773900777. Cleaning of upvc, fascias, weather boards, atria, atrium and conservatory roof cleaning.